Given that we are in the depths of a financial crisis I have been trying to avoid temptation for anything other than essentials this month. 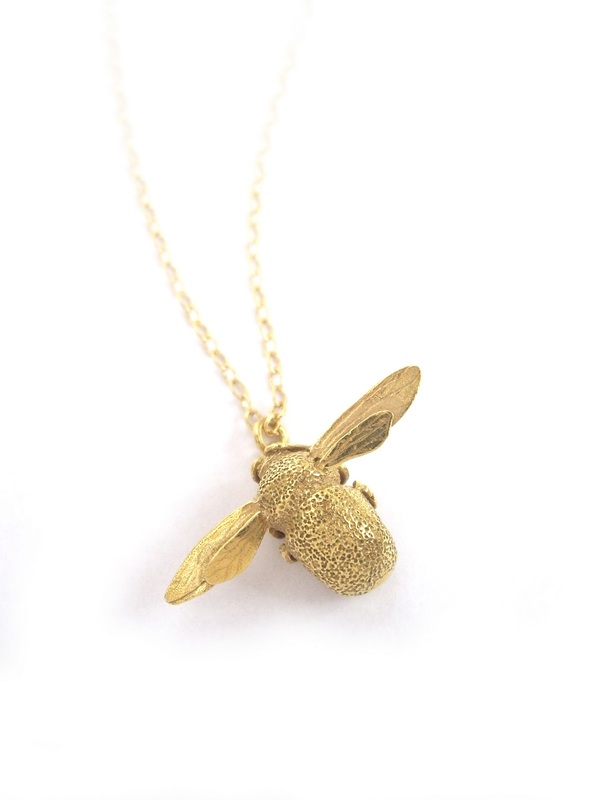 That was however until I discovered the website of jewellery designer Alex Monroe. Alex’s designs have been extensively featured in the press and have even been worn by Emilia Fox’s character in Silent Witness – that style icon of yummy mummies - Nikki Alexander. It fulfils none of the criteria I have set myself for the definition of an essential purchase i.e. I don’t have one already that needs replacing, life would not be impossible without it, it costs more than £10. I don’t normally wear gold jewellery. That aside I still want it. I have tried the advice that wise professionals give other shopping addicts – walk away before you buy it and see if you still need it tomorrow or the day after - and I still want it. I have now book marked the page and look longingly at it on a daily basis. Perhaps I could justify it as therapy to conquer my bee fear…..